Avocets are a small group of long-legged, long-billed wading birds, all four species of which are boldly patterned in black and white. The American avocet Recurvirostra americana and Red-necked avocet R. novaehollandiae also have a reddish or brown head and neck. All avocets are included in the single genus Recurvirostra. Avocets are present on all continents except Antarctica, are absent from cold northern parts of Eurasia and North America, and are associated with habitats ranging from estuaries, lagoons, sewage ponds and salt-pans to ponds and rivers. Pied avocets (and Black-tailed godwits) in flight. Image: Bernie Dempsey. I don’t think I’ve ever written about avocets before. The article here came about because I received permission to use the photos you see here from my long-standing friend Bernie Dempsey. Avocets mostly nest in colonies, though solitary nesting is practised as well; they also tend to be gregarious outside the breeding season. The photos here show large numbers of Pied avocet R. avosetta taking flight at Brownsea, southern England, due to the presence of a hunting peregrine. Black-tailed godwits Limosa limosa (and a single gull) are visible in flight as well. Having mentioned breeding, avocets are famous for performing elaborate social breeding ceremonies where groups form circles, raise and lower their bills in ritualised fashion, and often engage in fights and scuffles. Another shot of the same group of Pied avocets (and Black-tailed godwits) in flight. Image: Bernie Dempsey. The fine, upcurved avocet bill is used in ‘skimming’ or ‘scything’ across the surface of water. The birds do this while wading, typically in water only as deep as their ankles. Small food items (mostly molluscs, crustaceans and aquatic insects) are retained on internal lamellae, and the large, fleshy tongue is (presumably) used to remove said items once enough have been collected. The bill is apparently more strongly curved in females than in males: another example of bill dimorphism of the sort I’ve written about before (see this ver 2 article) and perhaps present as a consequence of resource partitioning. As always with animals, avocets are not limited to this form of foraging alone, however: they will also swim and up-end to reach food from a submerged muddy substrate and will also grab insects from terrestrial plants. A Pied avocet, photographed at Minsmere, UK. Note the highly reduced hallux. Image: Tim Felce, CC BY-SA 2.0 (original here). Avocets might best be regarded as weird plovers. Avocets are closely related to a similar group of long-legged waders: the stilts Cladorhynchus and Himantopus. Stilts are very avocet-like but differ in having a straight bill. Anyone familiar with bird taxonomy will know that bird groups that look as different from one another as avocets and stilts do normally get given their own ‘families’, but the tradition here is that both are combined within Recurvirostridae, avocets being Recurvirostrinae and stilts being Himantopodinae. However, not only does a ‘subfamily-level’ classification seem somewhat pointless given that we’re only talking about three genera, it is by no means clear that stilts are monophyletic, since some studies find Cladorhynchus (the banded stilt) to be outside a Himantopus + Recurvirostra clade (Christidis & Schodde 1992, Dove 2000). Having mentioned Cladorhynchus within the context of phylogeny, I have to note that this bird was used by Olson & Feduccia (1980) to support their idea that flamingos “evolved directly from the Recurvirostridae”. This view (which was never that popular among palaeornithologists anyway) now has to be considered compellingly falsified. I might write about this whole story some other time. A selection of birds included within the charadriiform group Charadrii, chosen to represent most (though not all) main lineages. This is a montage produced for in-prep textbook The Vertebrate Fossil Record. Image: Darren Naish. As goes the larger view, recurvirostrids are charadriiforms (that is, part of the same group as plovers, gulls and auks), and specifically part of Charadrii, the charadriiform group that contains sheathbills, stone-curlews or thick-knees, ibisbills, oystercatchers and plovers. While conventionally considered a distinct ‘family’, note that Recurvirostridae is one of several long-billed groups within Charadrii that’s surrounded in phylogenies by taxa traditionally grouped together within the plover family Charadriidae (Chu 1995, Ericson et al. 2003, Baker et al. 2007, Mayr 2011). No one has acted on this yet, even though the most ‘sensible’ solution is to sink Recurvirostridae and the other affected groups (Ibidorhynchidae and Haematopodidae) into Charadriidae. The alternative solution is to raise several lineages to ‘family' level’ such that oystercatchers, recurvirostrids and so on get to retain ‘family status’. Whatever, the interesting thing here are goes charadriiform evolution is that the very long-billed recurvirostrids, oystercatchers and ibisbills all evolved from short-billed ancestors (or a single ancestor?) that would have been similar to plovers, stone-curlews or sheathbills. Maybe we’d guess this already, but it receives firm support from the topology of cladograms. I’ve written a fair bit about this issue (about the topology and taxonomy of these groups) in my in-prep textbook, and the cladogram you see here is from that work (you can see more from the book and my other projects here at patreon). There are several competing cladograms for Charadrii: this one is a simplified version of the topology recovered by Mayr (2011). Like all of these sorts of cladograms, this one was produced for my in-prep textbook… on which go here. Pluvianus is missing simply because I haven’t drawn it yet. Image: Darren Naish. 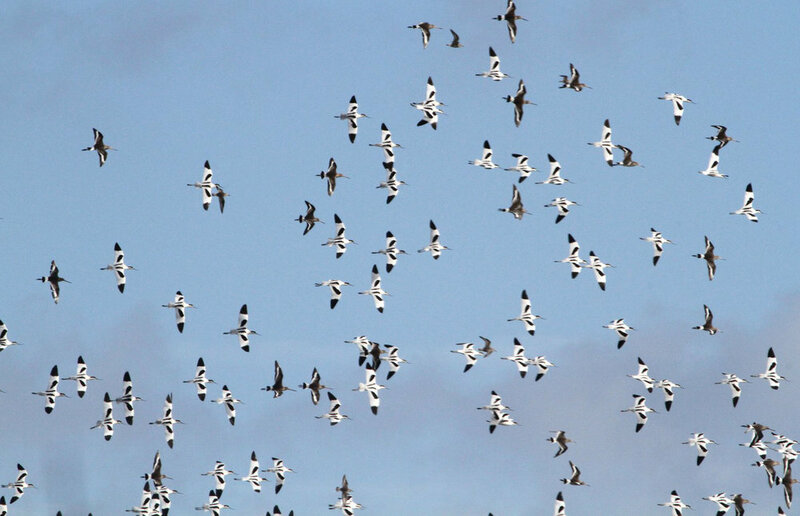 The restoration of Pied avocets in Britain. Here in the UK, Pied avocets (which we typically term just ‘avocets’) are famous for virtually disappearing from the country due to wetland reclamation followed by egg collecting and shooting. They were gone as a breeding species for about 100 years. During the 1940s, the birds began breeding again due to the modification of Minsmere in Suffolk to its original flooded condition (this flooding being a WWII defensive measure). Competition and predation from gulls initially kept breeding success low but removal of gull nests and eggs eventually allowed avocet breeding success to increase; another drop during the 1970s – this time caused by a decline in invertebrate prey – was countered by waterway management (Thomas 1985). 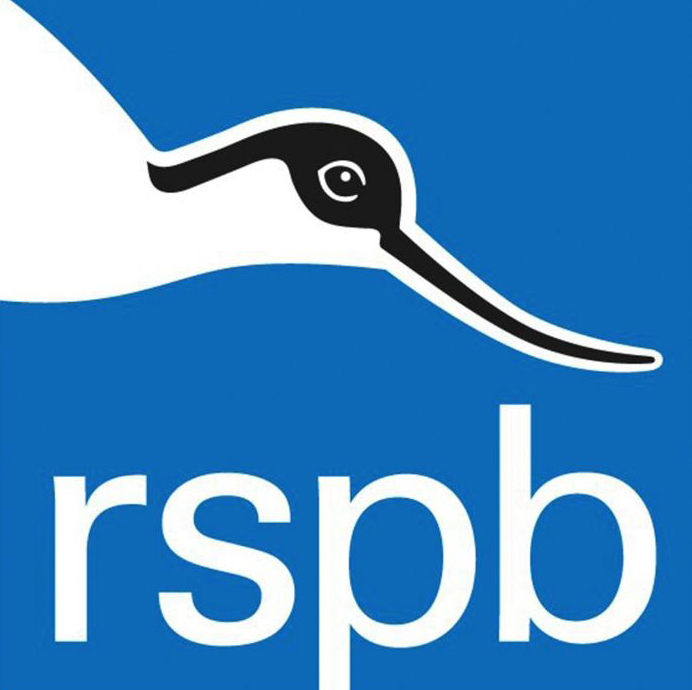 The modern RSPB logo. Image: fair use. This determined conservation effort was a great success and a good example of how systems (which were already heavily modified by human action) have to be managed and manipulated extensively for an endangered species to be bought back from the brink. It explains why the Pied avocet was adopted in 1955 as the symbol for the RSPB (Royal Society for the Protection of Birds). This is apparently the first use of a bird image as a symbol for conservation. Pied avocets and Black-tailed godwits (and a gull), alarmed by a nearby peregrine. Image: Bernie Dempsey. Baker, A. J., Pereira, S. L. & Paton, T. A. 2007. Phylogenetic relationships and divergence times of Charadriiformes genera: multigene evidence for the Cretaceous origin of at least 14 clades of shorebirds. Biology Letters 3, 205-209. Christia, P. D., Christidis, L. & Schodde, R. 1992. Biochemical systematics of the Charadriiformes (shorebirds): relationships between the Charadrii, Scolopaci and Lari. 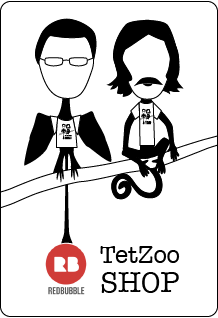 Australian Journal of Zoology 40, 291-302. Chu, P. C. 1995. Phylogenetic reanalysis of Strauch’s osteological data set for the Charadriiformes. The Condor 97, 174-196. Dove, C. J. 2000. A descriptive and phylogenetic analysis of plumalaceous feather characters in Charadriiformes. Ornithological Monographs 51, 1-163. Ericson, P. G. P., Envall, I., Irestadt, M. & Norman, J. A. 2003. Inter-familial relationships of the shorebirds (Aves: Charadriiformes) based on nuclear DNA sequence data. BMC Evolutionary Biology 3: 16. Mayr, G. 2011. The phylogeny of charadriiform birds (shorebirds and allies) – reassessing the conflict between morphology and molecules. Zoological Journal of the Linnean Society 161, 916-934. Olson, S. L. & Feduccia, A. 1980. Relationships and evolution of flamingos (Aves: Phoenicopteridae). Smithsonian Contributions to Zoology 316, 1-73. Thomas, G. 1985. Plovers and sandpipers. In Perrins, C. M. & Middleton, A. L. A. (eds) The Encyclopedia of Birds. Equinox, Oxford, pp. 162-175. Posted in birds and tagged with birds, ornithology, waterbirds, charadriiforms, avocets. October 21, 2018 by Darren Naish.